McGarry’s Jewelers is an amazing local business success story. They’ve been operating since 1854, and that was so long ago that Old City was just known as “City” back then. Over the course of their history, we imagine they had a few different locations, and as far as we can tell they moved into their space at 312 N. 2nd St. in the mid-1980s. Not only did the business own the double-wide one-story building at the corner of 2nd & Wood, but they also owned a surface parking lot to the south, which the customers surely appreciated. 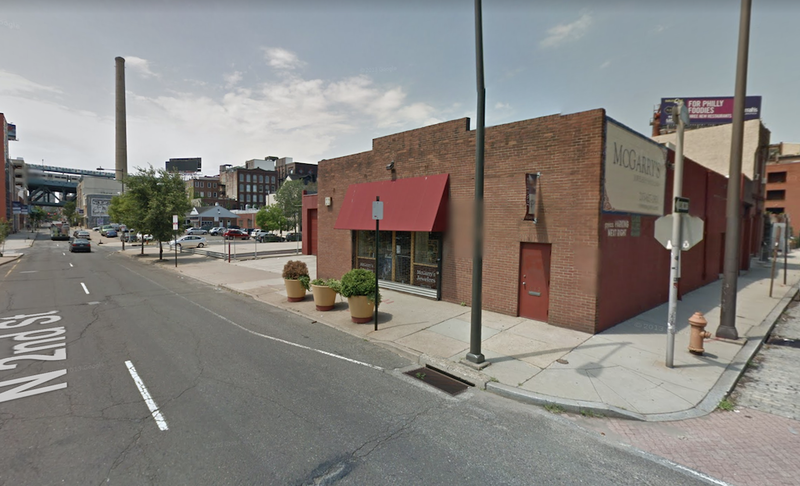 In 2014, the owners of the business sold the parking lot to developers, and it was just a couple years later that a row of six $1.5M homes appeared next door. 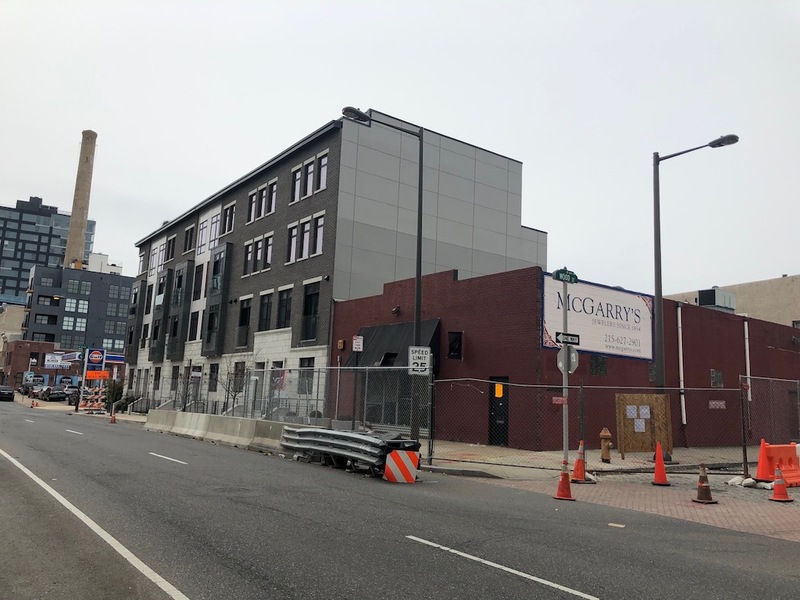 Around the time that the homes were wrapping up, we noticed a sign on McGarry’s that they were departing their location at 2nd & Wood. We made a phone call and were bummed to learn that they were leaving the city in favor of a location in Collingswood. We speculated that developers would purchase the former store and that residential development would likely follow thereafter. It took a little longer than we would have expected, but we spied a demolition notice on the building when we passed by the other day. The only information we have at this point is that the building will be torn down. We don’t see any zoning notices or additional permits on public record, and because of the permissive zoning of the parcel, any number of possible projects could appear here. 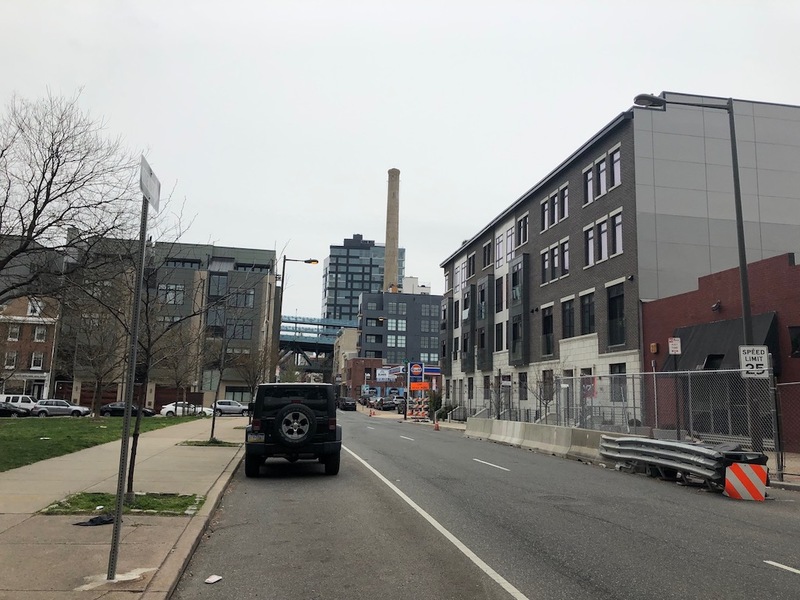 So we could see a small apartment building, a mixed-use building, or standalone homes, and our suspicion is that the latter will be the project that ultimately comes to fruition. We expect two new mansions on 2nd Street and a third on Wood Street, taking advantage of a drive-aisle used by the other two homes. If this is indeed the plan, we wouldn’t be surprised to learn that the new owners of the property are the same developers that built the Baldwin homes to the south, but given the number of high end residential construction projects in Old City in the last few years, it could be any number of other developers are well. We wonder, if the Baldwin homes had gone up just a half a block to the south, a little farther from the I-95 ramps in the photo above, whether they would have sold at higher price points. 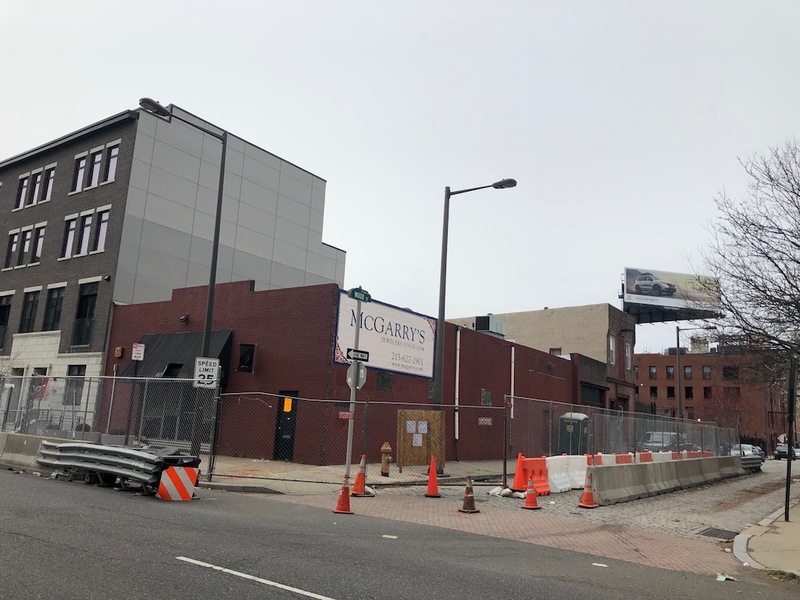 Similarly, we’ll wonder the same thing about whatever gets built when the McGarry building gets demoed. 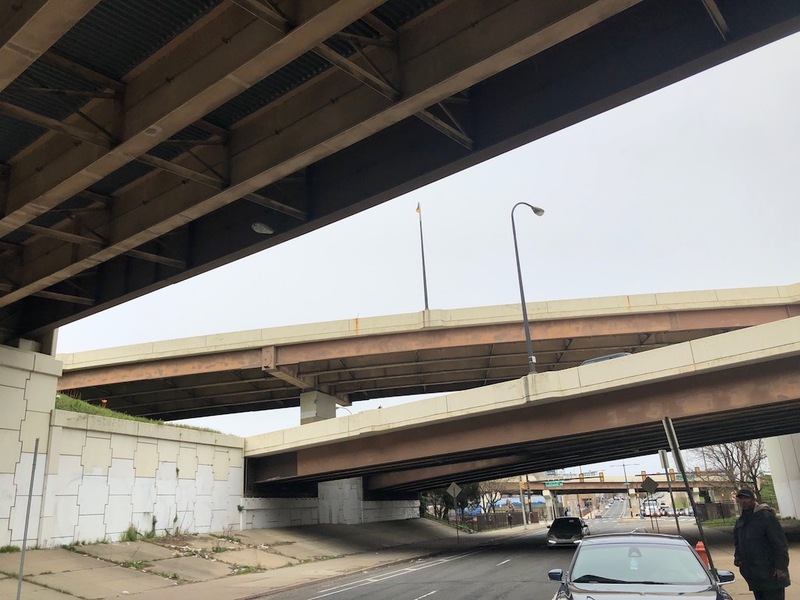 If we were in a position to spend that kind of cash on a home, we imagine we wouldn’t want a highway ramp for a neighbor- but different strokes for different folks, we always say. Triple pane, sound proof windows will help anyone who lives at that location….but, it’s super convenient!